We are social justice advocates from organizations that serve rural and remote areas in the province of Ontario with a passion for inclusive justice. On a cold and snowy afternoon in December 2013, a group of people came together in a meeting room, some hesitantly, some boldly, to talk about justice. In that room they talked about their dreams and their passions, and discovered shared goals and ideals of social justice and inclusion for all. Each had been working hard on initiatives that they believed would promote social justice and inclusion in their individual communities for years. As that day progressed, and became weeks and months of working together, they declared their commitment to leading a movement for inclusive justice, starting with the rural and remote parts of Ontario, and with a vision that strives to provide leadership to ignite the passions of others in the quest for inclusive justice. They came to believe that by committing to each other, to a bold vision for their communities and the province, that they could collectively achieve positive things together beyond that which they could hope for alone. Trudy McCormick, B.A., LL.B., LL.M., is a lawyer and Executive Director of the Northwest Community Legal Clinic. 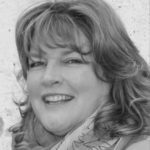 Originally from the small town of Perth, in eastern Ontario, Trudy moved to the north in 1987 to start her legal career. 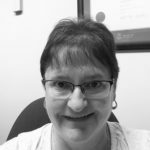 She was a private practice lawyer in Atikokan, Ontario for a number of years, before joining the Rainy River District Community Legal Clinic (RRDCLC) as a staff lawyer in 1999, becoming Executive Director there in 2000. 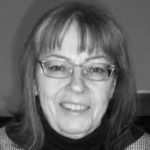 In 2009, she lead the RRDCLC and the Kenora Community Legal Clinic through a successful amalgamation process, where they joined together to become the Northwest Community Legal Clinic, with a service catchment area the size of France. Trudy is active in the community, working with groups such as the Celebrating Diversity Committee, the Community Policing Committee, among others. 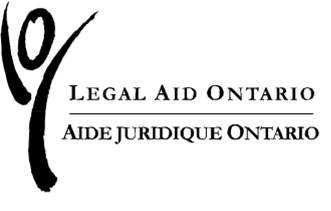 She also works with the larger provincial community, and has served on the executive of the Association of Community Legal Clinics of Ontario, and on the Legal Aid Ontario Clinic Law Advisory Committee. She is passionate about the importance of community, and inclusion, in both her work and her personal life, while enjoying the natural beauty of northwestern Ontario. As a lawyer and social innovation professional, I am thrilled to be part of the Rural and Remote Boldness Project team. This clinic-led project has great potential to transform clinic law services for low-income clients and the opportunity to work collaboratively between LAO and Clinics makes it even more transformative. I have a keen interest in systems change and having spent two years working on clinic transformation at LAO, I am optimistic that the Rural and Remote Boldness Project will create serious systems change that will benefit low-income clients living in rural and remote areas. Born in Calgary Alberta a whole 60 yrs ago, and the 60’s had an impact on my political and social perspective. I was a musician in a travelling band playing mostly bars and living in hotels for 10 years, then part-time with a base in London for the next approximately 16 years. 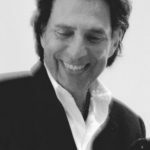 I went to Law school as a mature student – I did a combined masters in law and philosophy, and then opened my own private practice. I practiced on my own for 6 years, doing civil litigation, family law, and finally mostly criminal law. I got the job at the legal clinic in 2002, and felt very lucky indeed to be able to litigate things on principle and to help people that were otherwise just “rolled over” by the system. I became an Executive Director in 2008. I also teach part-time at Western University in the philosophy department as well as the Faculty of Media and Information Studies and the faculty of Management and Organizational Studies. I was born in Minnedosa, Manitoba to a farm family. Rural issues are of great concern to me, but at the same time I am proud to say that the strength, resiliency, “looking out for your neighbour”, problem-solver attitudes of rural communities and residents is something that was ingrained in me from an early age and that I carry with me today. I got my undergraduate degrees with a scholarship through University of Winnipeg (B.Sc. (Biology), 1977; BA (Sociology), 1978). Like most graduates, I had student debt to repay, so after graduation, I worked several years as a tractor-trailer driver, hauling dry cement and later liquid sulphur from the tar sands (Fort McMurray). I still have my truck driving licence today as having a trade skill has given me a lot of opportunities. I returned to the University of Alberta as an adult student to get my law degree. After articling at a civil litigation firm in Kitchener, I was called to the Bar of Ontario in 1986. 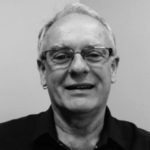 I began my legal career in private practice in downtown Toronto, but shortly thereafter, I entered the legal clinic system as a staff lawyer in the Waterloo Region Community Legal Services (1986-1989). I returned for a time to driving tractor trailer with my husband cross country and then was the Executive Director at the Vancouver Multicultural Society for about two years. I returned to Ontario in 1991 to become the first (and so far, only) Executive Director of the Northumberland Community Legal Centre. WSIB cases are my focus – I love the medical –legal intricacies of this work. I am passionate about improving the lives of low-income persons, and about the work we do at legal clinics. The application of legal skills to right injustices for the most vulnerable among us is tremendously satisfying. In my spare time I enjoy riding my horse and my motorcycle and going to NASCAR races. Called to the bar in 1990, Gina worked in private practice, primarily in family law, including work for the Children’s Lawyer, until 2001 when she joined the clinic staff. She is the supervising lawyer of our housing and employment teams. Gina is Board Chair of the Community Development Council of Quinte and a member of the steering committee of the Poverty Roundtable Hastings Prince Edward. She has been a member and Board member of a number of community organizations, including the Affordable Housing Action Network, the Affordable Housing Working Group Prince Edward, Alternatives for Women and Three Oaks Foundation. 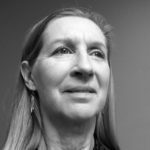 Kathryn is a results-oriented, values-based executive experienced in strategic planning, organizational development, cultural transformation, leadership development and marketing. 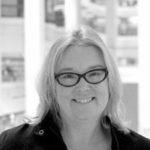 She has worked in both the private sector at 3M Canada and public sector with the Ontario Public Service, along with volunteering extensively in the nonprofit environment. Kathy’s real-world experience in the corporate, public, and social sectors is both rare and invaluable. Kathy has worked with hundreds of teams and boards to improve capacity and build strategies to advance their individual and organizational agendas. She engages people in both reflective and human-centre design approaches to strength their relationships. Kathy truly understands the nature of true innovation and the culture required to make innovation possible. Her work in branding extends from marketing one of the true power brands “Post-it notes” to helping with personal branding of key leaders. Kathy has a passion for innovative ideas. She works both independently and as an associate with other like-minded change makers. She is driven to contribute to initiatives that have meaning and hope. Kathy is one of a handful of Canadians who have completed graduate work in social innovation and is driven to change the way we change the world. A doer and a dreamer.